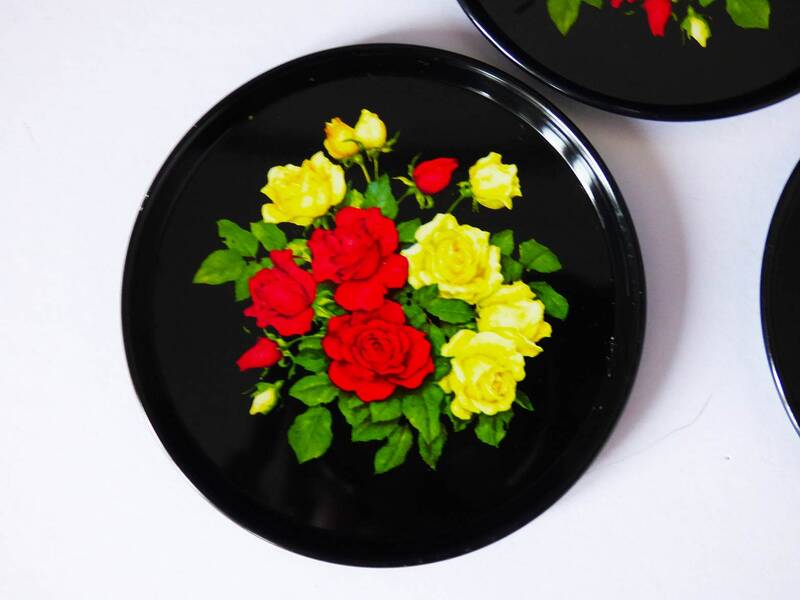 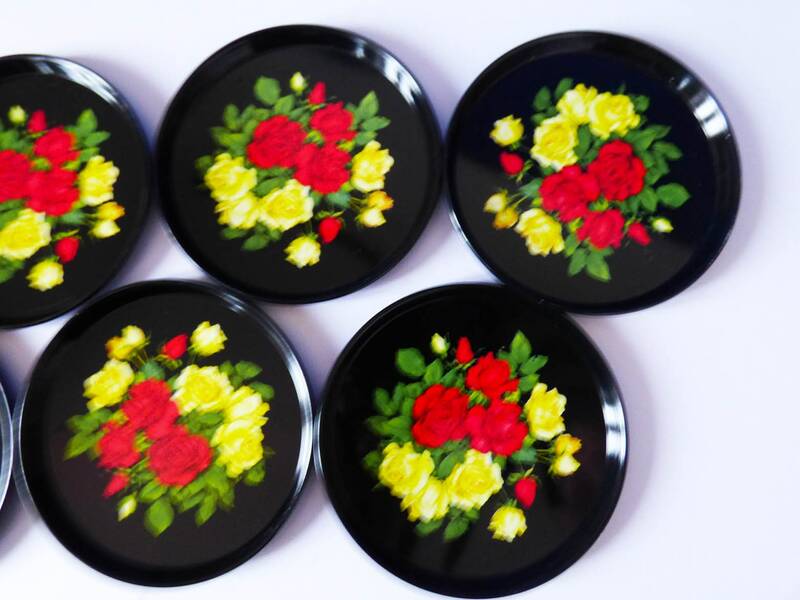 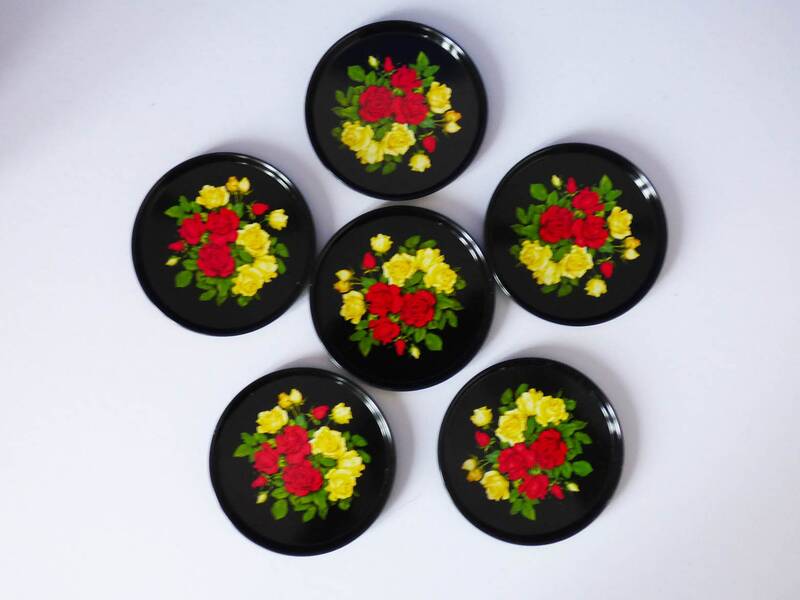 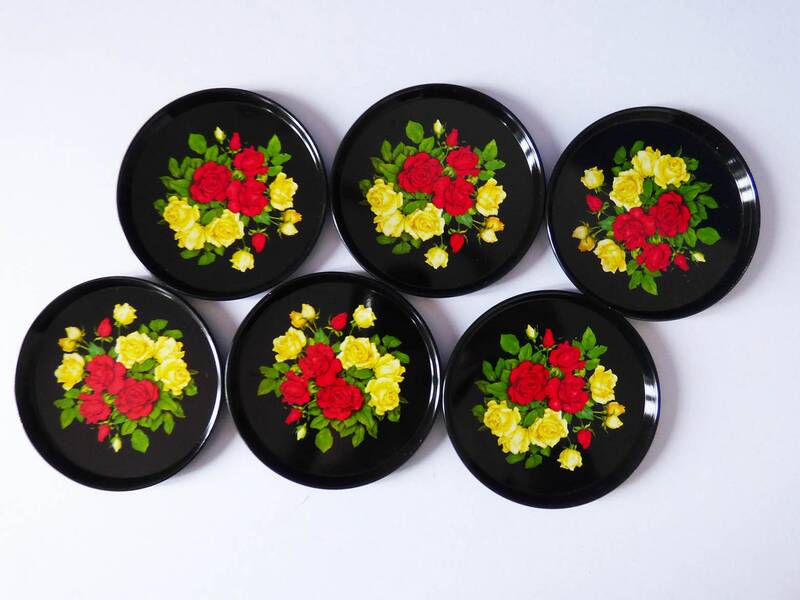 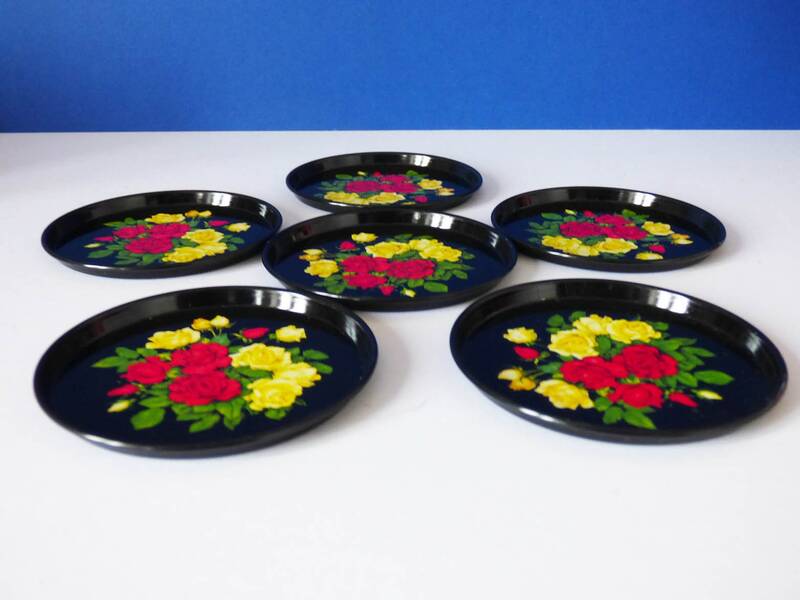 6 Stunning vintage tin coasters, featuring a lovely yellow and red rose design on a black background. 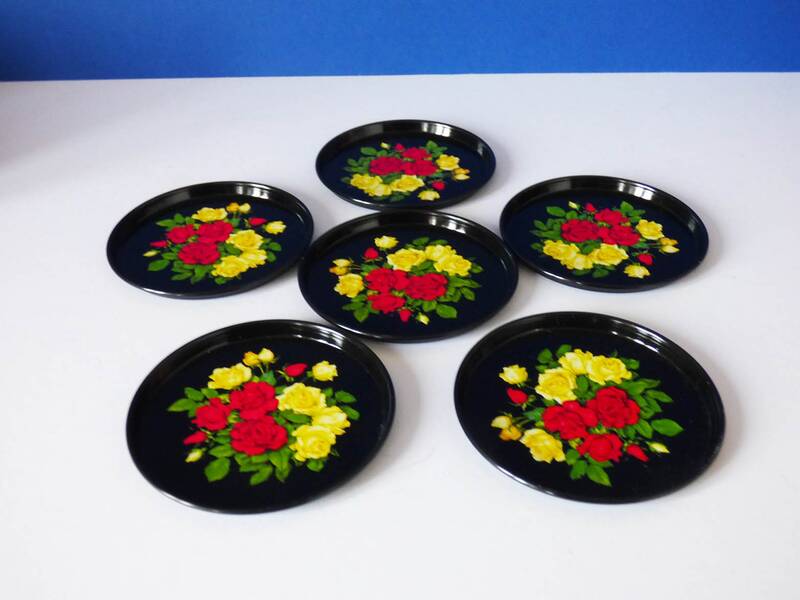 All the coasters are in great condition and were originally brought in Denmark. 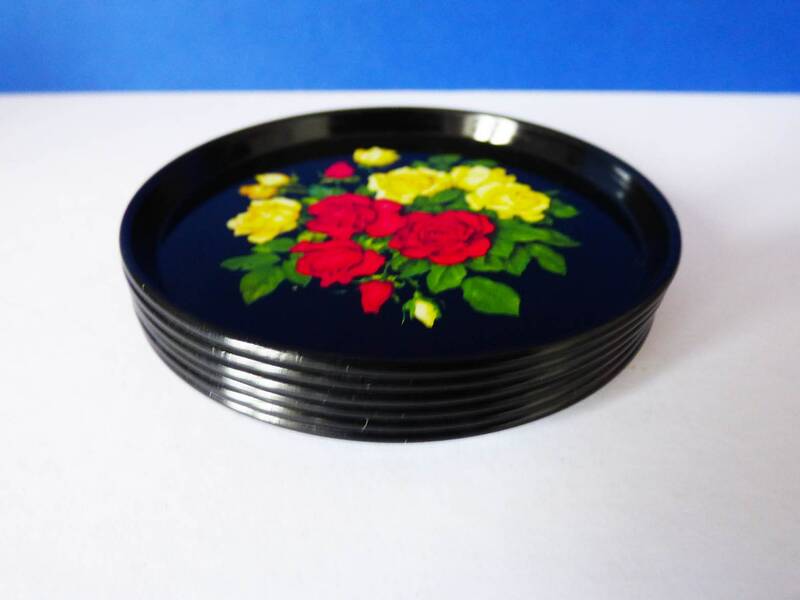 8.2 cm in diameter. 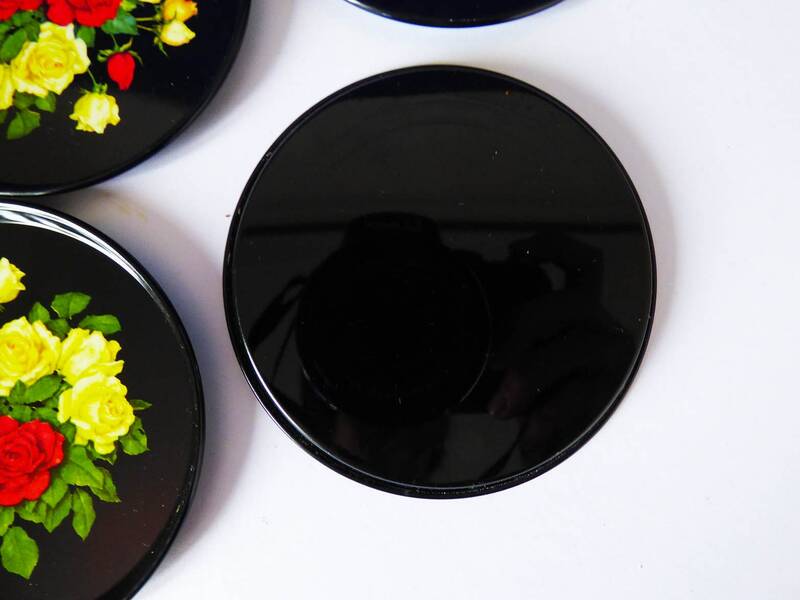 So made for glasses and slim mugs, rather than chunky mugs.